Solar panels do get worn over time. The good news is they don’t wear that easily — solar panels and their other components (like the inverters) have long lifespans. Additionally, they will prolong even more if you bought a high-quality system and took good care of it. Nonetheless, there are factors to a shortened lifespan of solar panels. These factors are either from the environment, a hasty installation process or the manufacturing process. These factors can sneak up behind you if you always go lax or don’t plan ahead. Take note: even though solar panels don’t demand frequent maintenance, you should still be careful. In this short post, we will discuss why they degrade and the best ways to prevent it. Rain can help lighten maintenance on your panels as it rinses the dust and grime. You should still watch out for moisture, though. 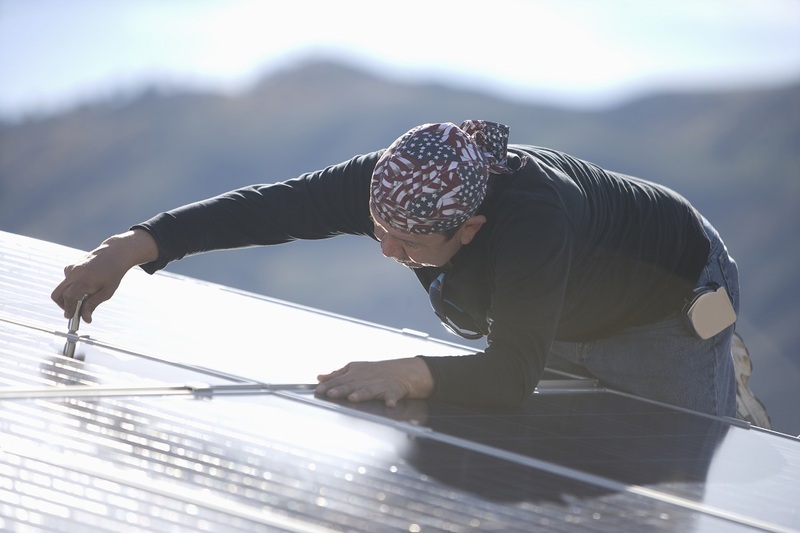 Water can still penetrate and damage your solar cells, especially on the areas with connections. It can also degrade the panels’ seals. You should also watch out for falling debris. Hail storms, for one, calls for a pricey repair on solar panels. Another damaging debris is pebbles. Sometimes, cars passing by can make pebbles bounce onto your panels’ protective glass. You should also watch out for trees’ branches. The damage of any debris can cause energy output loss. Sometimes, when the system’s wirings also wear. In rare cases, unattended and malfunctioning wirings can even cause fires. Sharp corners in the framing of the panel or the rough surface of the roof can also wear the wiring. Also, animals like birds can damage these wires. That’s why you should practice proper solar wire management. Make it a habit to reseal the parts with connections. Also, apply an extra protective coating to the glass, so it can continue absorbing the right amount of sunlight. If you see cracks or tears on your panels’ protective glass, then you need to replace them. You should replace the assemblies and protective covers as well. This way, you can prevent moisture from seeping into the wirings and glass. If you live in areas where hailstorms are frequent, it’s better to invest in smaller solar panels. With smaller sizes, you won’t have to worry about a pricey repair and a huge energy output loss in case of an inevitable hailstorm. During the installation process, make sure your providers educate you about proper wire management. If you have pets or children, make sure the ground-mount wirings is located in an inaccessible area. You may fence the area to be extra sure. Invest in high-quality solar panels. Don’t want the signs stated above to happen to you? The best first preventative step is to buy from a reliable provider. Solar panels are efficient, alright — but not all of them are created equally. So, why not start your journey to self-reliance with us? Let’s talk about your requirements! Just fill in the form below and we will give you a free assessment.